DNV GL has revised its classification rules for Managed Pressure Drilling (MPD) systems and introduced two new class notations DRILL(MPD) and DRILL(MPD READY). 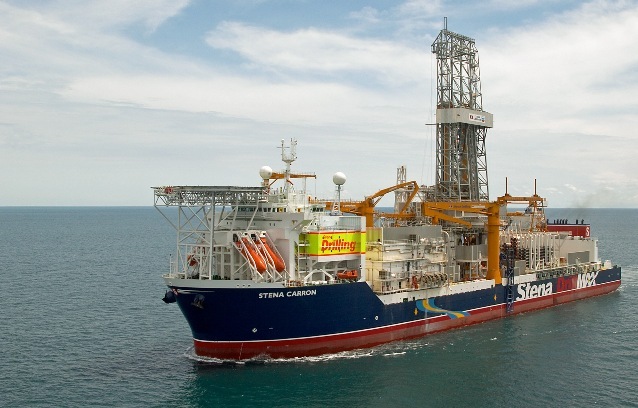 Stena Drilling Ltd. (SDL) is the first drilling contractor to receive the notation Drill(MPD) for their harsh environment drillship Stena Carron. Managed Pressure Drilling (MPD) is an adaptive drilling process that allows greater control of the annular pressure profile throughout the wellbore. This can help operators drill new wells safely and more efficiently and in some cases to drill previously undrillable wells. Since 2013, DNV GL’s offshore standard DNVGL-OS-E101 Drilling Plant has covered the design and commissioning requirements for MPD systems. The Stena Drilling Ltd. drillship Stena Carron was the first vessel to receive the DRILL(MPD) from DNV GL and has already successfully drilled two ultradeep wells with its DNV GL certified MPD system. MPD certification to the MPD READY notation is also planned for two more SDL drillships, Stena IceMax and Stena DrillMax. The revisions to the Offshore Standard DNVGL-OS-E101 Drilling Facilities (January 2018) helps the industry to enhance safety and system reliability by addressing dynamic well control and well influx management. Managed Pressure Drilling (MPD) requirements are addressed in the January 2018 release of DNVGL-OS-E101 – Drilling Facilities. The MPD system is considered an operative system and an integrated part of the drilling fluid circulation and cementing system. MPD is incorporated as an integrated part of the requirements for DNV GL’s DRILL notations. Units that are fitted with an MPD system and have a valid DRILL notation may be given the qualifier MPD and MPD READY if the MPD system is dismantled at a later stage. Units fitted with provisions for MPD, but with no MPD system installed, may also be granted the class notation DRILL (MPD READY).